The Clipper Race crew sure know how to draw a crowd, with the people of Derry-Londonderry turning out in force to see the fleet on the successful opening day of the Foyle Maritime Festival. 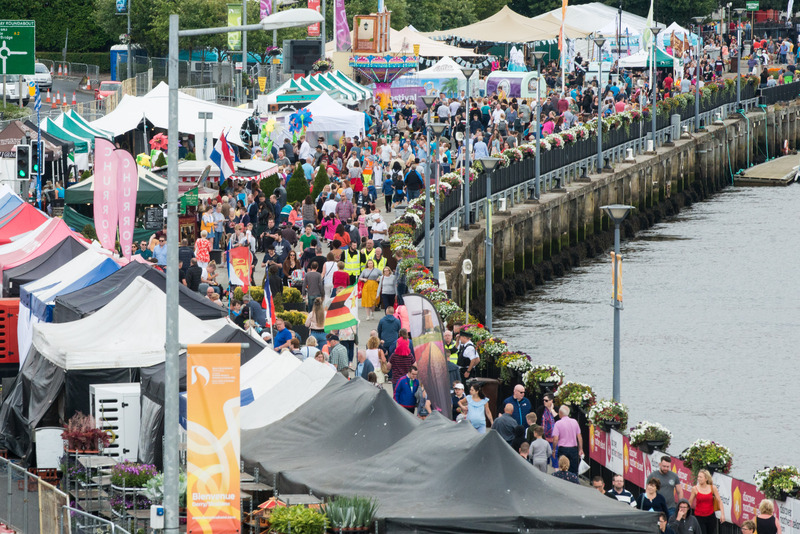 After the festival officially opened at midday on Saturday, 32,000 people arrived to take in the spectacular sight of the fleet, as well as enjoy the impressive food and activities on offer along the banks of the Foyle. 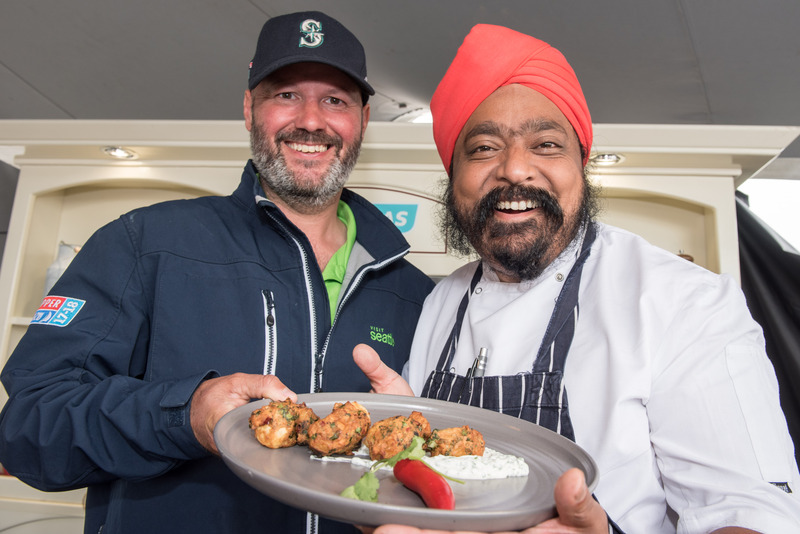 The Seafood Kitchen was a popular place for Clipper Race fans on day one of the festival. 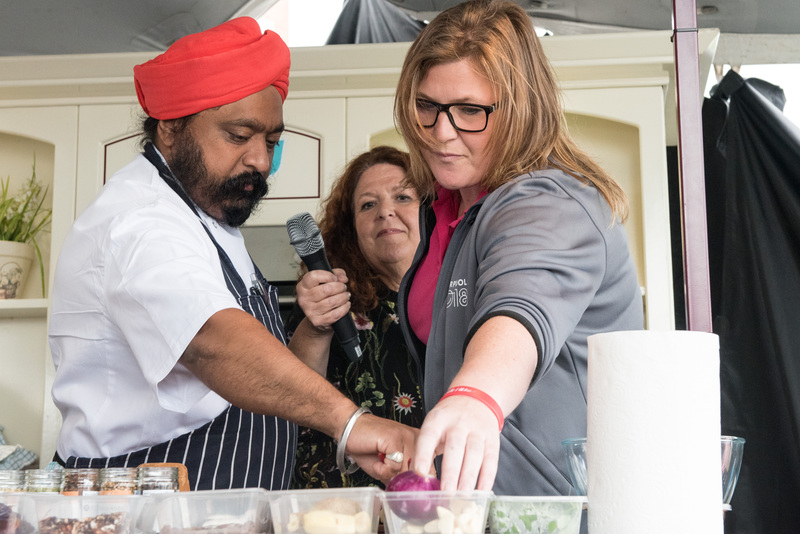 Scottish round the world crew members Iain Coke, a 45 year old Chartered Accountant on Visit Seattle, and Claire Fulton, a 37 year old Operations Manager on Liverpool 2018, both put their culinary skills to the test in a cooking segment with Scottish Celebrity Chef Tony Singh. This is the fourth time the Clipper Race fleet has headlined the Foyle Maritime Festival and this edition looks to be the best yet. The crowds are expected to return tomorrow when the public will have their first opportunity to step on board one of the Clipper 70s. The Open Boat Tours are a unique opportunity to see what life is really like aboard a stripped-out ocean racing yacht and talk to the extraordinary men and women who have taken on this round the world challenge. The boats will be open from 1200 until 2000, local time, from Monday 16 until Thursday 19 July. The tours will end at 1800 local time on Friday 20 July in order to allow the teams to prepare for the Parade of Light later that night. The Parade of Light will be the pinnacle of the festival, with the eleven Clipper 70s to be decked out in lights and join a flotilla of other vessels on the Foyle, with the night to culminate in a spectacular firework display. However, it won’t be the last chance to see the fleet in action. On Sunday 22 July, the teams will perform a Parade of Sail before departing Derry-Londonderry for the final race of the 40,000 nautical mile (nm), eleven-month circumnavigation – a 1,000nm sprint to Race Finish in Liverpool, UK. For more information about the Clipper Race fleet’s time in Derry-Londonderry and the Foyle Maritime Festival, see the Derry-Londonderry Stopover Page on the Clipper Race website.